Allow me to begin by saying this – I’m in no way an enthusiast of digital media. I used to be the guy who passionately advocated the superiority of physical games while having Olivia Newton John’s hit song playing in the background. Like many, I grew up at a time when neatly boxed games with colorful artworks and thick manuals were the only option. Receiving a highly desired game for Christmas, unwrapping it and inhaling that factory-fresh smell, is probably something only a handful of people outside of the hobby would not find disturbing. Whenever I purchase a game digitally, however, I feel like I’m not getting much in return apart from the simple right to play it. And it is just that – a license – not actual ownership. 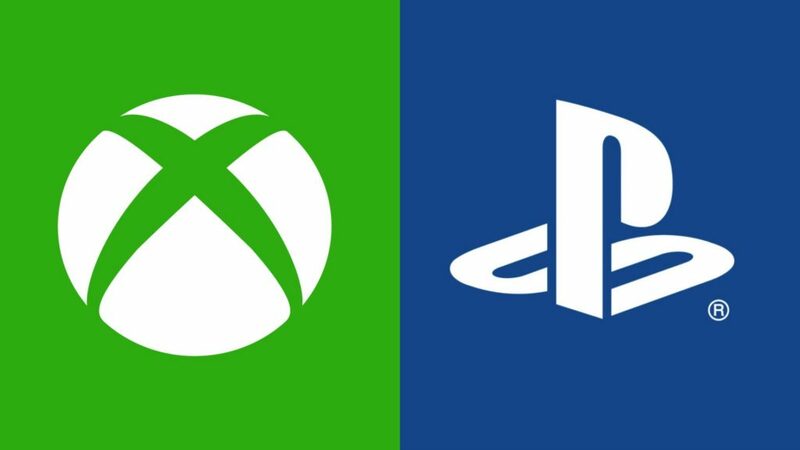 Which means if services like PSN and Xbox Live are ever discontinued, any content purchased on those platforms would likely be lost. Needless to say, but gorgeous artworks and manuals are unfortunately becoming relics of a bygone era. Despite the obvious shortcomings, over time I’ve come to appreciate some of the benefits which a digital collection can offer. Though nostalgia has made it difficult for me to make this transition, I’ve noticed myself warming up to the notion of my video game library existing in a purely numerical form. As time went by and both my physical and digital catalogs were growing, certain positives to the latter began surfacing. My initial reasoning for sticking with physical media, in addition to actually owning the product, was the fact that those versions simply required much less of a device’s storage space. Not even a decade ago, having a physical version of a game was a predictable method of keeping storage relatively unencumbered. With the more recent releases, that is no longer the case. Physical copies often require the same amount of gigabytes as their digital counterparts and the inevitable day-one patches ensure that downloading a substantial quantity of data is unavoidable. Another positive aspect of digital distribution is obviously the way of delivery. There’s no need to visit the nearest store, potentially in a bad weather, or endure a long queue during a midnight release. Ordering a game online can save money and effort of travelling somewhere. Receiving the order, however, will probably take up to several days and there’s always the odd chance that it might get damaged or lost in transit. With digital media, these potential problems are non-existent: find the game on the platform of choice, provide payment details and begin downloading. Depending on connection speed, the game is playable in a matter of hours. As ludicrous as it may seem, changing discs has become a hassle too; it’s far more convenient to have a digital library and switch games almost instantly. It may sound as if up until now I’ve been describing digital distribution in an exclusively positive way, though there are several major deficiencies. An obvious shortcoming is that digital media simply has no reselling value; digital games can’t be resold, traded in or exchanged in any way. It’s a final investment. Perhaps one day, some genius mind will discover a method for exchanging/selling digital media, but as of yet, that day is still to arrive. Also, depending on location, the price of a digital game upon release can be substantially greater than its retail version. Even on sales, digital titles can rarely compete with the price of a physical version of the same game. The only major platform that has successfully converted to a digital market is PC, where retail has all but died out. And the frequent sales on Steam and similar marketplaces are just unbeatable. The bigger and more impactful drawback is DRM, or Digital Rights Management. There are multiple ways of implementing it, but regardless, its purpose is to prevent unauthorized distribution of intellectual property – which is a good thing – but it does so in a very anti-consumer manner. DRM is the reason why most digital products are not owned by the purchaser. Instead, the customer is granted access to the product so long as the providing server is active. In an obvious objection to this, several platforms – even outside of gaming – offer DRM-free products: like GoG, Bandcamp for music, and LibriVox for audiobooks, to name a few. While pricing is certainly an issue, it’s only temporary and will improve for better as the digital market grows. DRM, on the other hand, is a much more prevalent problem and will require an initiative from publishers to replace it with a healthier system of protecting their products from theft or other kinds of misuse. I have no issue with developing a digital collection and resorting to physical media for collectible editions, but before that, I want to make sure that I truly own the products and can back them up for safe-keeping, just in case. Previous articleThe Gaming Hub Podcast Episode 129 – Looking Forward to Red Dead Redemption 2! Mega Drive kid and PlayStation fan for over 20 years; Edgar began admiring the Xbox ecosystem due to its robust catalog of Game Pass offerings and the signature controller design which reminds him of his favorite console -- the Dreamcast. Now -- fueled by preterhuman amounts of coffee -- he shares his piece of mind on the interwebs, bringing forth reviews on latest releases, opinion editorials of things past, as well as educational (not really) compilations, and mentions the grandeur of the PlayStation Vita whenever possible. (Also, Digimon are way cooler).